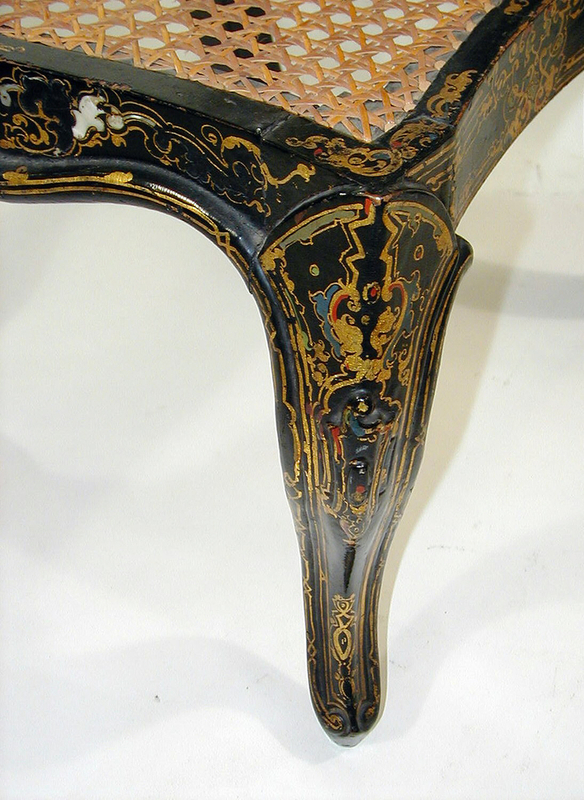 See more objects with the tag interior decoration, furniture, floral, seating, revival, caning. See more objects with the color darkslategrey darkslategrey dimgrey rosybrown rosybrown or see all the colors for this object. This is a Side chair. 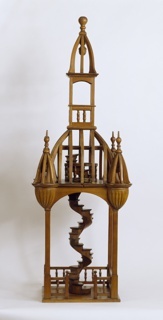 It is dated mid-19th century and we acquired it in 1977. Its medium is papier-mâché, mother of pearl, caning, wood. It is a part of the Product Design and Decorative Arts department. 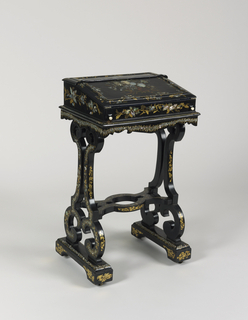 This object was donated by Lucy C. Stark and Jennifer C. Kruger and transferred from Smithsonian Institution Furnishings Collection. It is credited Gift of Jennifer C. Kruger and Lucy C. Stark. 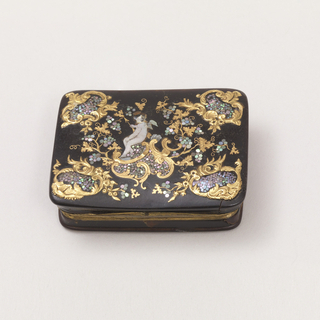 inlaid gold and mother-of-pearl, chased gilt-metal, enamel. Gift of Mrs. Rogers Denckla. 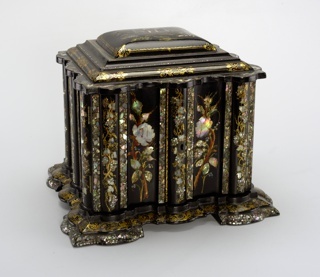 papier-mâché, wood, mother-of-pearl, velvet, paper, paint, gilt, ivory.